We are so incredibly thankful to all of our supporters and wanted to keep the love going all month long. So we’ve come up with some SWEET deals, just for the month of April! Any baby born during the month of April will receive their newborn session free of charge! That’s a $125 savings! 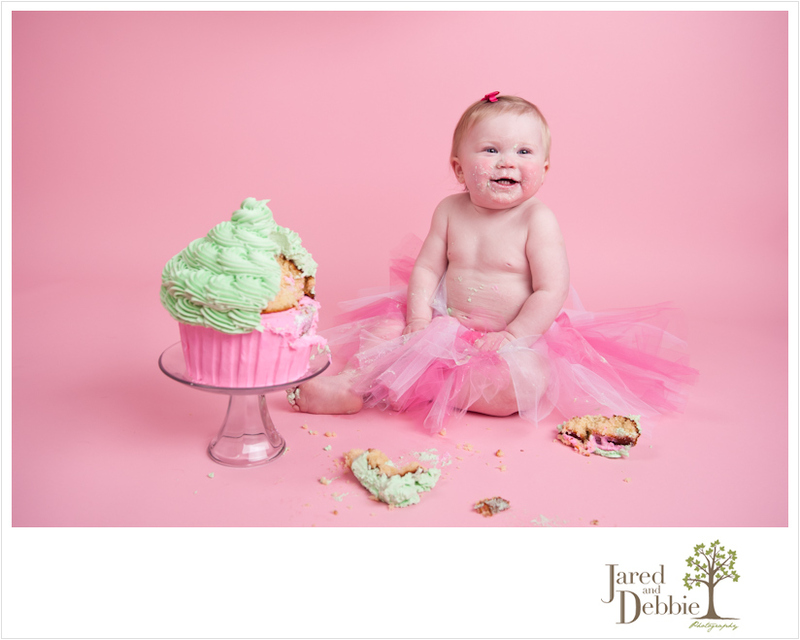 Any baby celebrating their 1st birthday in the month of April will receive a free cake smash session! That’s an $85 savings! These specials are available for new clients only so tell your friends, family members, co-workers and everyone at daycare, that Jared and Debbie are celebrating 1 year in a big way! If you are interested in taking advantage of either of these session discounts, please contact us as soon as possible for scheduling purposes. Please know that our newborn sessions occur within the first 5-10 days of life so if you or someone you know is expecting in April, please have them contact us as early as possible, even before baby arrives! Please call or email with any questions! April is a great month to be born in! Kathy Ellen Davis - 1. I am not against making up words, as long as there is a backstory. So you are safe. 3. Nice work! Too bad it’s too late to have a child to take advantage of these specials!